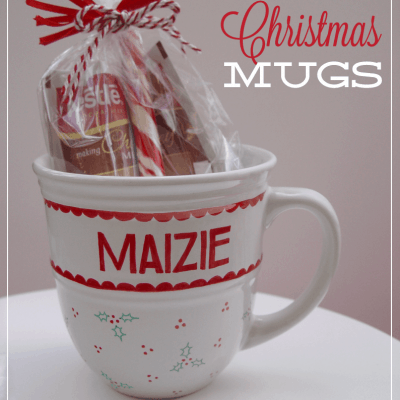 DIY Painted Mug gift idea – an easy and affordable way to make a personalized gift! 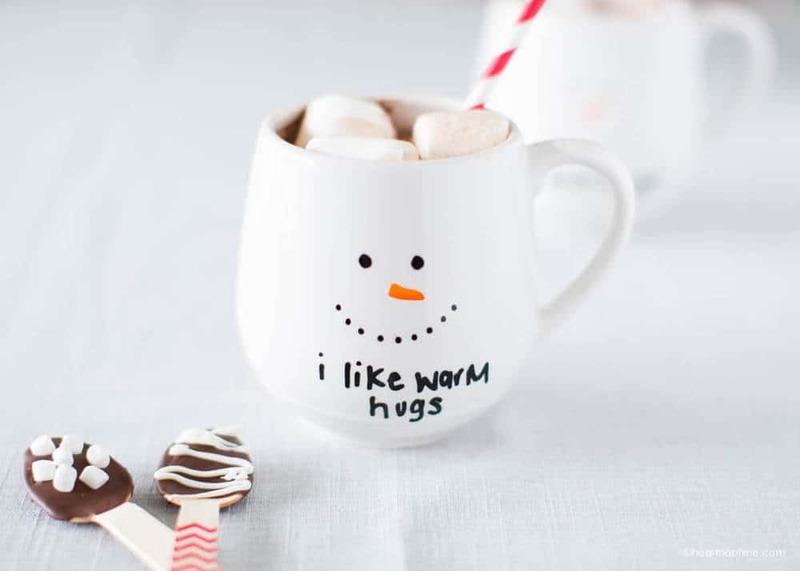 These mugs make the perfect holiday gift for friends and family and are so fun to make! You can get creative with different styles and colors. The possibilities are endless! I also made these adorable chocolate spoons to go with them. 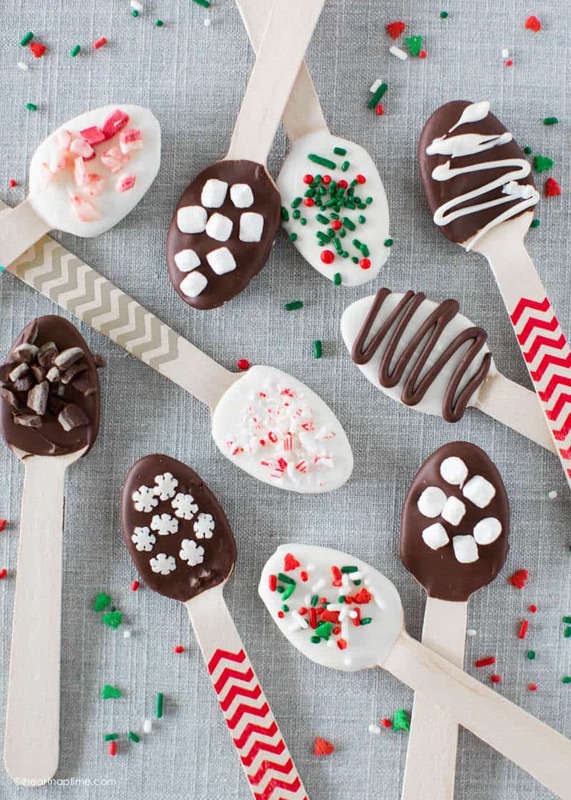 For those, all I did was dip these wooden spoons in chocolate and decorated with sprinkles and mini marshmallows. These mugs were super easy to make thanks to the PaintedbyMe markers. Finally markers that won’t wash away and are food safe! For the snowman, all I did was dots for the eyes and nose and a little orange nose. 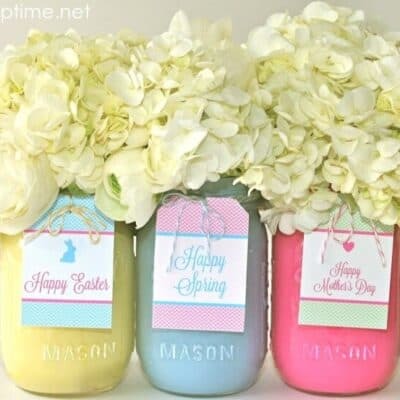 You can easily wrap these up and make a cute gift as well! You can download the free printable tags I shared last year HERE. 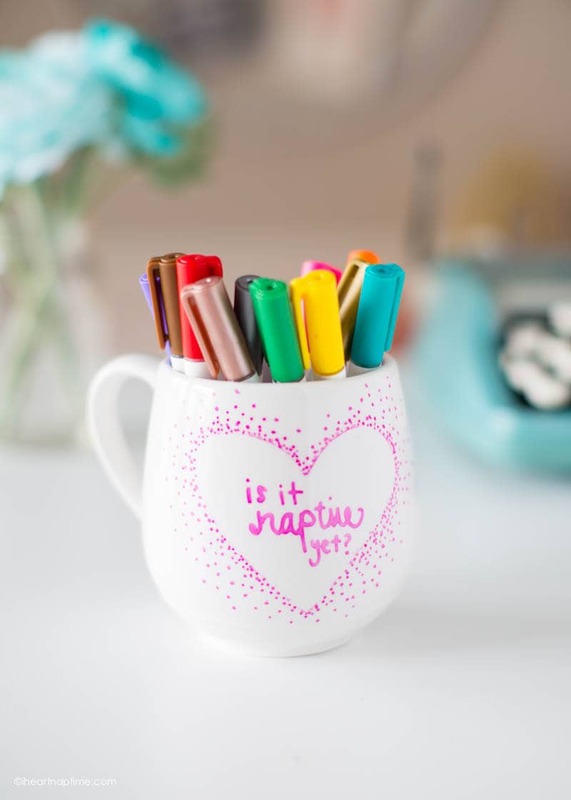 Color your design onto your mug. 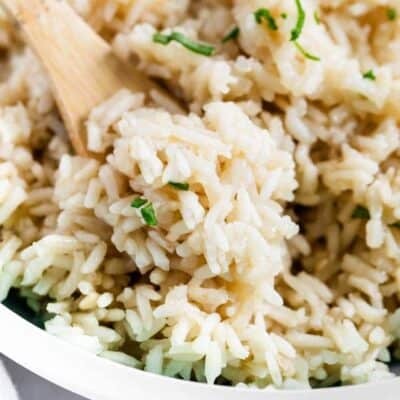 If you don’t like it, you can easily wash it off (before you bake it) with warm water. Once you’re happy with your design bake it at 375ºF for 40 minutes. Turn off the oven and allow to cool before handling. These mugs (when used with the PaintedbyMe markers) are food, microwave and dishwasher safe. 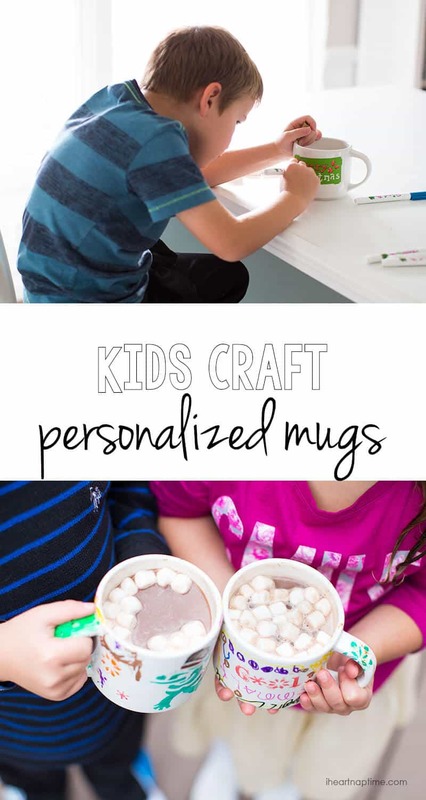 My kids also had a blast making their own mugs with the stencils. 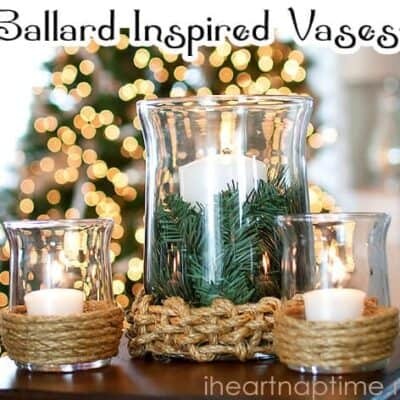 I’m thinking these would make great gifts for grandparents! This post was brought to you by PaintedbyMe. Where is the mug from? I am in love with that style! Have you used the PaintedbyMe markers on plastics? I have been trying to find markers that are food safe and these are the first that are claiming that they are. Hi April! I have only tried these markers on glass. I don’t think they would work on plastic because the only way the marker stays on is if you bake it. Otherwise it would wash off, so I assume it would wash off plastic as well. Oh My Word!!! Adorable! I’ve been thinking about gifts for my kids to make for grandparents and this one is perfect!! Thank you! I love how easy these are! 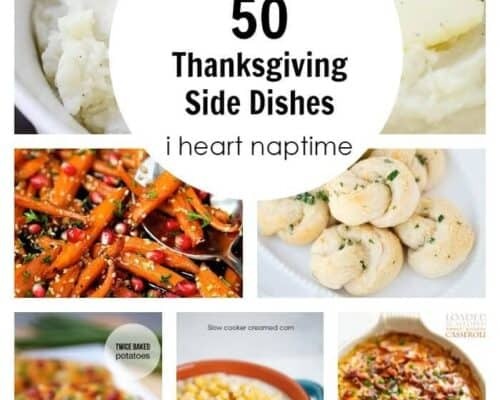 I can’t wait to make them this year! 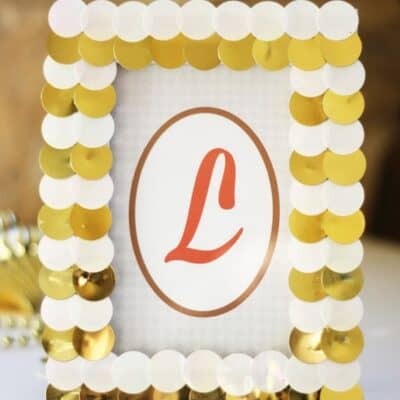 So excited about this product, my daughter will love doing this. The filled mug will make excellent teacher gifts. 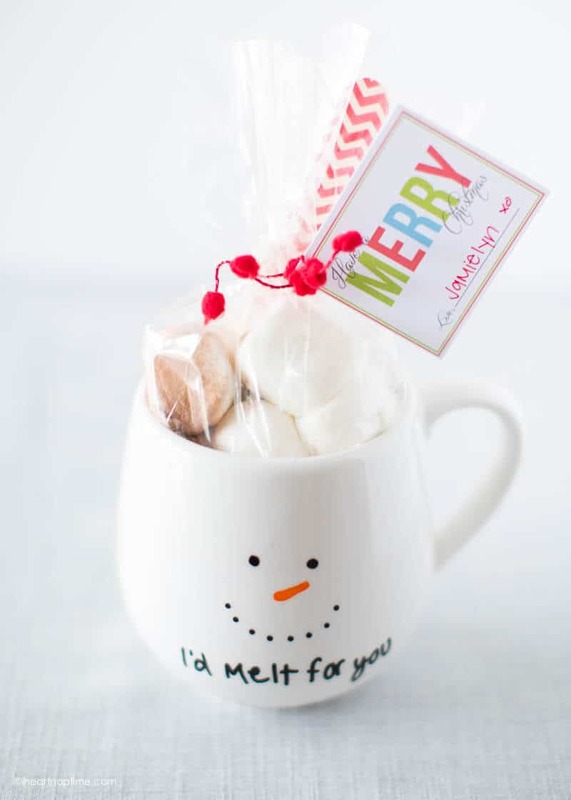 One quick question; I couldn’t find the free Merry Christmas printable tag from your link. I am sure it is there and I am missing it. Thanks in advance for some more help with that! My daughter would love this idea. This will have to be on our Holiday to-do list! 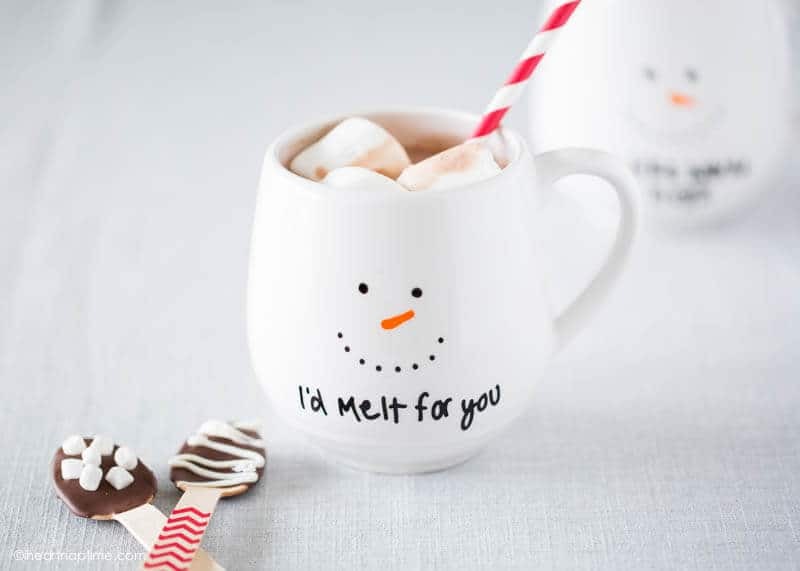 These mugs are super cute! 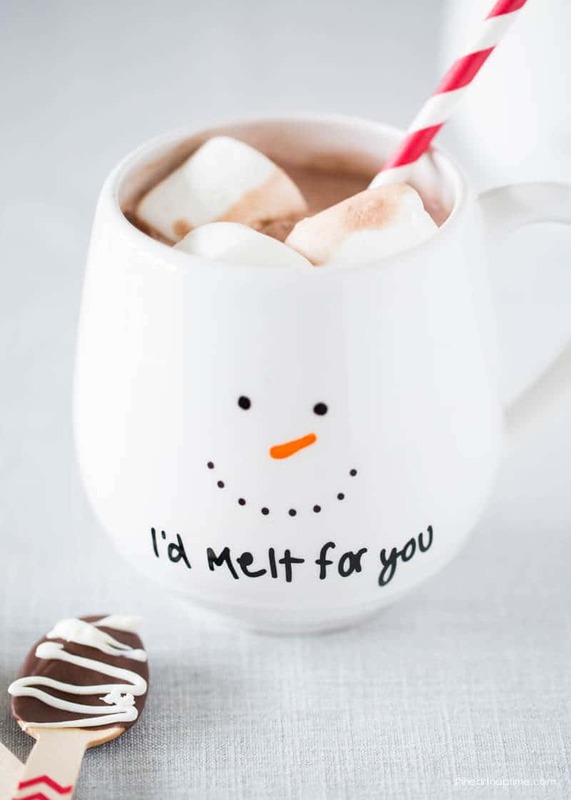 I want to try making some for neighbor gifts this year!